Before I get started on my rant here, I want to be perfectly honest and clarify the point of order of the High Council of the Knytes to discharge Mylinda and all from the ranks of the organization. While I may be a deciding factor in organization business, I'm not the only deciding factor. As it is there is 300,000 members of the Knytes, as such of each charter of the club, there are the main charters and the 4 and in some parts 3 sub charters of the Knytes. Each one has a President and A vice President. They also contribute to deciding an action or decision to be made. Of the worldwide membership if something is irritating the organization, somebody is going to call a point of order. While this may start to sound complicated, the fact is the radio op, and its companion the poster girl thing, is not moving along as fast as it should, or could. While I think Crimson , her sister and the one who moved in beside them, are good people, they just don't possess the dedication to task that I thought they did, nor both of them, have way too many personal problems in their lives that their participation at this time is impossible. While we experienced some terrible weather for a short time the last two days, the fact is its a rude reminder and awakening that winter is not that far off. As such if any photography or videography is going to get done it needs to be done now, or tabled until spring 2018. Which as the High Council has decided to do. That does not mean that some bits wont be done and at least a good cover pic for the website wont be done, but the calendar and all is tabled until spring. 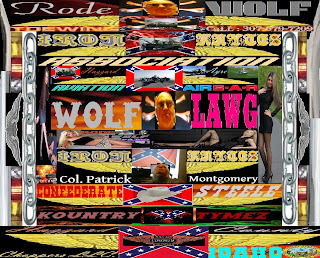 Okay then, My dear Shelly, has been going through some serious emotional ups and down's lately, mostly wondering of my loyalty to her, with this parade of hopefuls for the poster girl crap and getting more people in studio to do HazzardAyre/AyreWolfFm Radio and so on. First of all understand that on my goofy list of priorities Shelly is in the top five. As such while my soul belongs to LexiBelle, my heart belongs to my girl Shelly. Yes the up and down on and off again struggle with our relationship is a challenge, but I do love her in any and all cases. If I didn't I would have jumped off that journey months ago. The life of a Vice President of a HRTC (Hot Rod Truckers Club) is not easy. I was reading in Zeb Bell's blog about people thinking his job or profession is so easy. I'd like to see anyone do what I have to do, and go through the struggles and manure piles I do. I'd love to be able to just tune on a hot rod Chevy truck or cruise down a Interstate in a tricked out Peterbilt, and that be it. Nope. I have to deal with new outside the club new hires, dedicate time to a growing radio station albeit on line right now pending a new station license renewel , hiring female models , having to deal with infants, and just had a baby needs money to pay for it hopeful model applicants. Which is why outside of maybe one, the rest that signed up for the gig, here in the last round, were looking for a fast dollar and not much else. But I'm getting off subject. Then of course there's getting up to speed running my own tow services here. Not that I'm not thankful to Big C and A1, but thing is Big C isn't over here on the northwest side of the valley, and a really dedicated tow service here can generate good money here. Not that I didn't make okay money in Etown, but well ya'll know that disaster there. To be honest had I been able to retain my shop there, I'd have stayed there. But when rent goes up to $595.00 per month for a one bedroom apartment and the same almost gets me a whole house, you take the whole house. The real challenges now are simple. The move really taxed my rides. The General JaXson has some serious problems, LiL Wolf needs an alternator and battery, and when my money is going into a radio gig and poster girls who don't show up to get the Club to start chipping in enough, it hammers ones brain. So I say to anyone, who thinks their career gigs are tough try mine, more over if anyone wants to try to be a prospect of the Club, we are accepting new membership pledges right now. If my Shelly thinks I'm ignoring her, she's deeply mistaking. It's because of her that I'm her in the 3rd place. Both from the fact that her not contributing in both April, May and some of June to the shop fund I lost that, and two, to be together she needs some serious thearapy that is only availbe in Twin Falls for what she can pay for it. Ever think your alone trucking the cyber highway? Think your emails, visits to social pages like Facebook and the like are not being monitored? Think again. Much of the reduction of YOUR bandwidth and such just might be because of eavesdroppers, looking over your shoulder while you use the cyber highway. Oh sure computer errors, the age of the system you get on the cyber-highway with may be a cause, but I have found that 60% of the time its because I have been spied on, or are being spied on. I get the same feeling when, some Islam guy says they like one of my or the Club's facebook page or group. Really? Too bad I can't just ask them why? The real answer, the Islam and Commie eyes are looking at you from every mile marker, to see if you might be a recruitable agent. 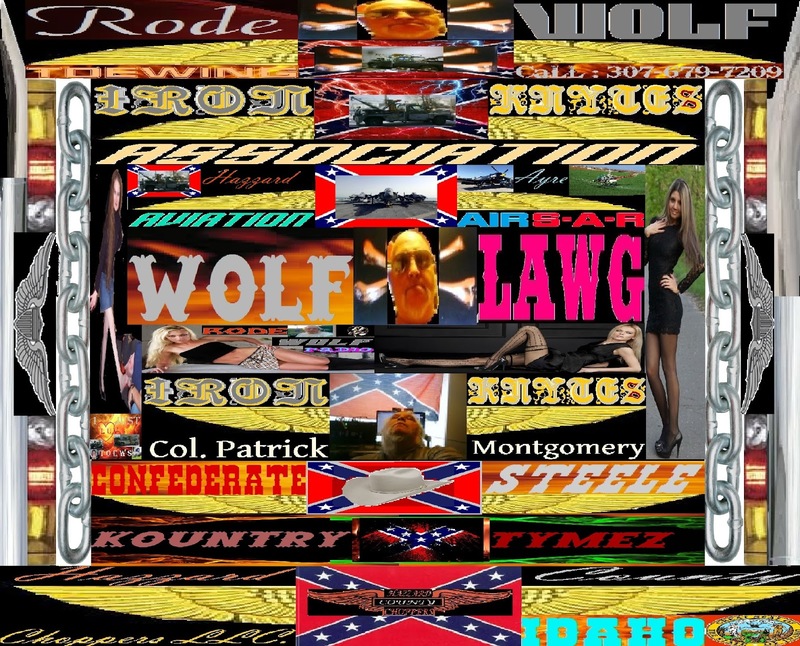 In my case, I'm sorry to say I'm 100% Confederate American Male with two balls that dropped years ago, in essence I am America, anything and anyone that wants to challenge that , can do so looking into old Betsie here. There's a 30/30 cal, shell aimed and ready to be discharged. I'll elaborate on this on the show, starting at 12:00 hours today. 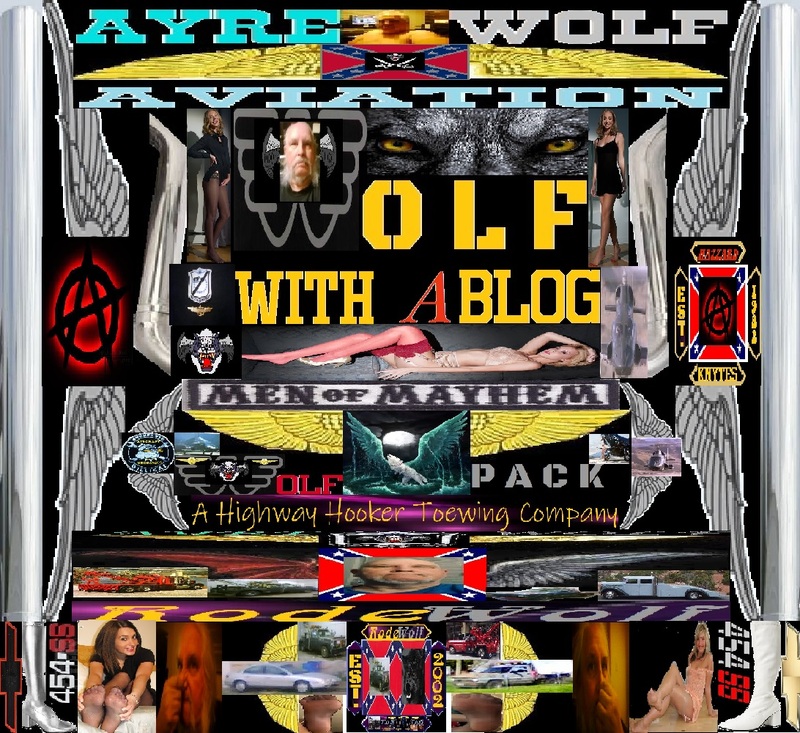 On www.spreaker.com/ayrewolf and you also can find us on www.soundcloud.com . As I close , I need to disclose that Nurse GoodBody and I are having our monthly coffee this Wednesday at Java Bean, where the exploration of her entering back into our media firm is going to be on the table.